Effective SEO is lead generation for the modern age. In today’s tech-savvy era, law firms can no longer rely on word of mouth to generate work; a whole generation of customers, and indeed their parents, are now turning to the internet to find and consume legal advice and services. By improving your law firm’s visibility and presence on the internet, you can drive traffic to your website and, ultimately, generate new enquiries cost effectively. Keyword analysis – We find out what your potential customers are searching for, what your competitors are ranking for and where we can prioritise our SEO work to improve your traffic and lead generation. Keywords – BORN will organically optimise your website for a key set of keyword phrases using unique, well written copy produced by skilled SEO copywriters. Links – By implementing a structured link-building campaign BORN works to strengthen your website’s authority in the SERPs – Inbound links are indeed a significant factor in the Google algorithm. SEO Consultancy – BORN provides expert, responsive support to IT and marketing departments. Depending on your needs and budget, a team of SEO specialists can provide weekly/ monthly meetings and reporting to support your in-house campaigns and projects. Website architecture – By creating well-thought-out URL naming conventions and a strong website hierarchy through the development of miscrosites, BORN can build an internal linking strategy to benefit your web presence as a whole. Strong page naming conventions, well-written meta content and a contextually relevant inbound linking strategy provide a joined-up approach to SEO, alongside relevant social media and PR activity. Search engine algorithms – Keeping abreast of algorithm changes is our number one weapon in SEO best practice. Our highly skilled team of SEO practitioners and webmasters are informed and progressive in their understanding of what the search engine spiders rank as valuable and detrimental on a website. BORN has worked with some of the most prestigious lawyers in their fields and our team has a vast knowledge of this ever-changing sector. We believe SEO for law firms is an essential investment in today’s tech-savvy culture, and our support and advice has enabled our clients to reach a wide section of society who may otherwise not have found them through traditional means. 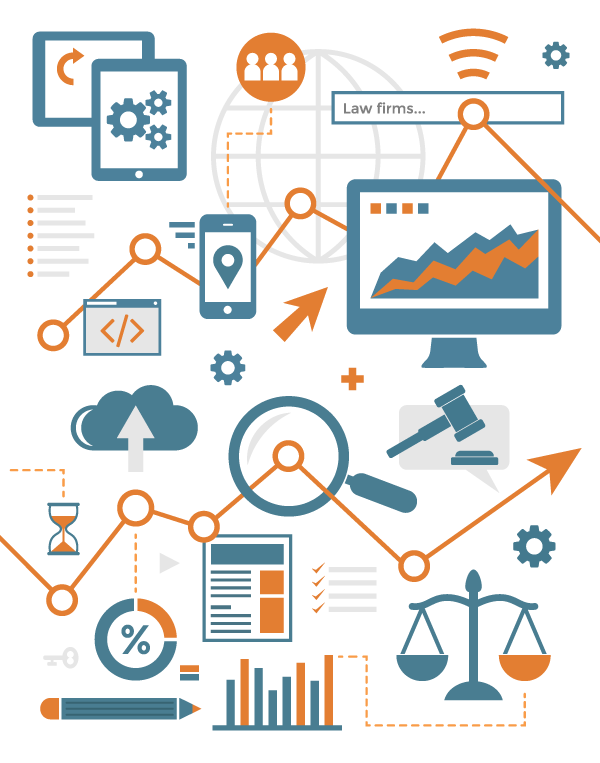 Why should law firms invest in SEO?